In the last two months I’ve been able to get out to several interesting locations in Sri Lanka. 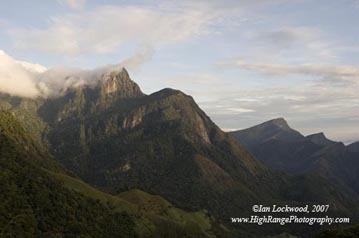 In mid-April I took my family for a six-day trip to Kandy and the Knuckles Range. I was eager to spend more time in these hills that bear so much in common with the southernmost Western Ghats. On our way we had the privilege of meeting Professor Anselm De Silva, Sri Lanka’s distinguished authority on herpetology. We compared notes and I had a chance to look through his enormous portfolio of publications over tea. He gave us good advice about what to expect and where to look for certain critical species in the Knuckles. It ended up raining quite a bit which somewhat limited our explorations and we never saw the number of lizards, frogs and snakes that I had hoped for. That’s just another excuse to make another visit! Earlier this month I took my 11th grade students for their annual Geography Internal Assessment field trip to Sinharaja World Heritage Site. As usual it proved to be as bountiful as ever and we were treated to many nice encounters with snakes, lizards,drgonflies, birds and more. 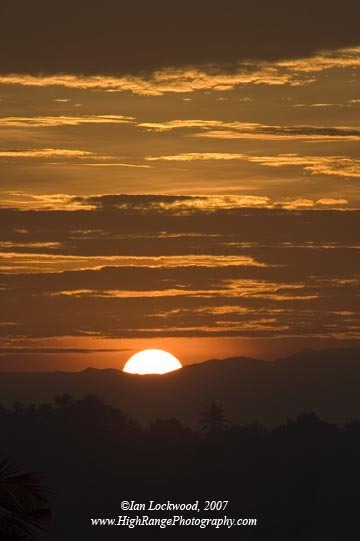 Spring sunrise over the Central Highlands as seen from the Colombo neighborhood of Pelawatte. Looking north at Corbet’s View in the Knuckles Range. 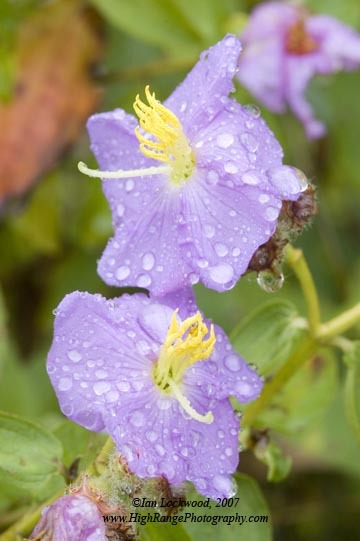 Osbekia flowers in the Knuckles Range. 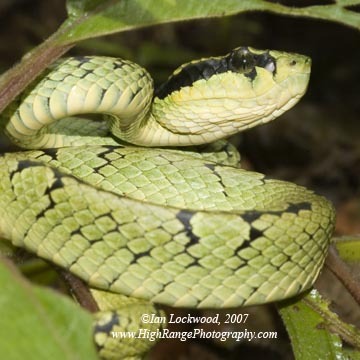 An endemic Green Pit Viper (Trimeresurus trigonocephalus) in Sinharaja. This is one of about 150 images that I took on three prolonged encounters. It was in the same location as the viper that we found almost exactly a year ago! 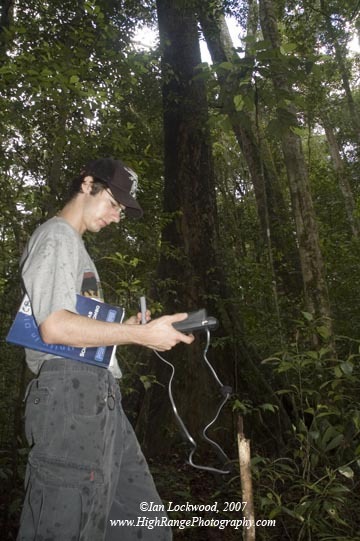 OSC 11th Grade student CP Du Toit measuring light in Sinharaja’s primary forest. 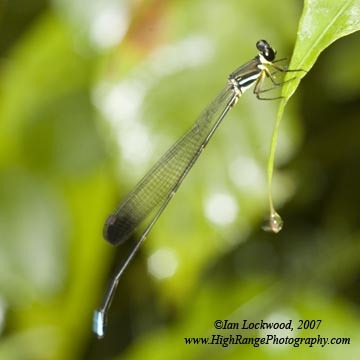 Damselfly below Martin’s Lodge at in Sinharaja. 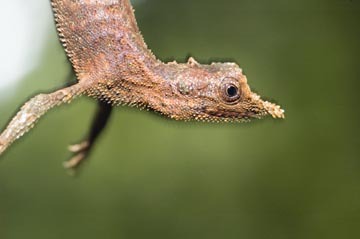 A relatively rare and endemic Rough-Horned Lizard (Ceratophora aspera) in dipterocarp forest in Sinharaja. This is my first encounter after four previous visits to Sinharaja! 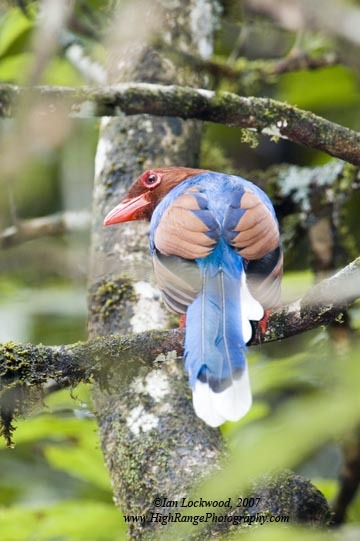 Sri Lanka Blue Magpie (Urocissa ornata) near the Sinharaja Research Station.